Each of these regiments (132nd thru 139th Regiments), on arriving at Nashville, were assigned to duty at different places along the lines of the Nashville and Chattanooga, Tennessee and Alabama and Memphis and Charleston Railroads, and until the latter part of August, 1864, were kept constantly engaged in guarding these lines of communication, used by General Sherman for the transportation of supplies to his army then advancing on Atlanta. The regiments all served beyond the period of one hundred days and returned to Indianapolis where they were finally discharged from service. The Governors of Ohio, Indiana, Illinois, Iowa and Wisconsin having offered to raise for the service of the General Government a force of volunteers to serve for one hundred days, Governor Morton, on the 23rd of April, 1864, issued his call for Indiana's preportion of that force. The troops thus raised were to perform such military services as might be required of them in any State, and were to be armed, subsisted, clothed and paid by the United States, but were not to receive any bounty. These troops were designed to aid in making the campaign of 1864 successful and decisive, by relieving a large number of veterans from garrison and guard duty, and allow them to join their companions in arms, then about entering upon one of the most active and important campaigns of the war. Their places were filled by the One Hundred Days Men as fast as the latter could be organized into regiments and sent forward from the camps of rendezvous. The organizations from Indiana consisted of eight regiments, numbered consecutively from the One Hundred and Thirty-Second to the One Hundred and Thirty-Ninth, inclusive. The One Hundred and Thirty-Third Regiment was composed of nine companies raised in the Seventh Congressional District, and one company raised at Richmond, in the Fifth District. These were organized into a regiment and mustered into service at Indianapolis, on the 17th of May, 1864, with Robert N. Hudson as Colonel. The regiment left at once for Tennessee. The One Hundred and Thirty-Fourth Regiment was organized and mustered into service at Indianapolis on the 25th of May, 1864, with James Gavin as Colonel, and immediately proceeded to Tennessee. Seven companies of the organization were recruited in the fourth and three in the Fifth Congressional Districts. The One Hundred and thirty-Fifth Regiment was composed exclusively of companies raised in the Eighth Congressional District. These were organized and mustered into service as a regiment at Indianapolis on the 25th of May, 1864, with William C. Wilson as Colonel, and departed at once for Tennessee. The One Hundred and Thirty-Sixth Regiment was composed of companies recruited in the First Congressional District, with the exception of three companies. These were raised, respectively, at Noblesville, in the Eleventh District, at Bedford, in the Third District, and at Goshen, in the Tenth District. The regimental organization was pertected and mustered into service at Indinapolis, on the 23rd of May, 1864, with John W. Foster as Colonel, and soon after departed for Tennessee. The One Hundred and Thirty-Seventh Regiment was organized and mustered into service at Indianapolis, on the 27th of May, 1864, with Edward J. Robinson as Colonel, and proceeded to Tennessee. Five of the companies were from counties in the Third Congressional District, and five from other portions of the State, as follows: One from Kokomo, one from Medors, one from Zanesville, one from Sullivan county, one from Rockville, and a consolidated company from Owen and Lawrence counties. The One Hundred and Thirty-Eighth Regiment was composed of seven companies from the Ninth and three from the Eleventh Congressional Districts. These were organized and mustered into service, as a regiment, as Indinapolis, on the 27th of May, 1864, with James H. Shannon as Colonel and left at once for Tennessee. The One Hundred and Thirty-Ninth Regiment was organized and mustered into service, at Indianapolis on the 8th of June, 1864, with George Humphrey as Colonel, and soon after, proceeded to Tennessee. 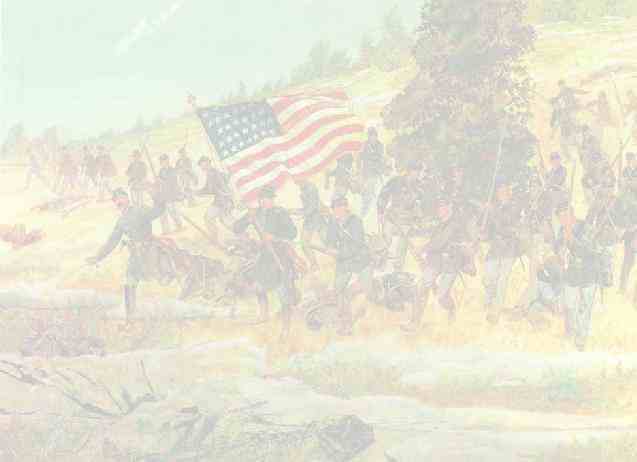 The companies composing the regiment were raised as follows: Elizaville, Lawrenceburg, Kendallville, Knightstown, Connersville, Newcastle, Portland and Vevay each furnished one company, while New Albany and Metamora furnished a consolidated company and Columbia City, New Haven and New Philadelphia furnished another.